It was a long road but you made it! Show the the world that you let nothing get in your way by wearing this breast cancer chemo grad t-shirt. 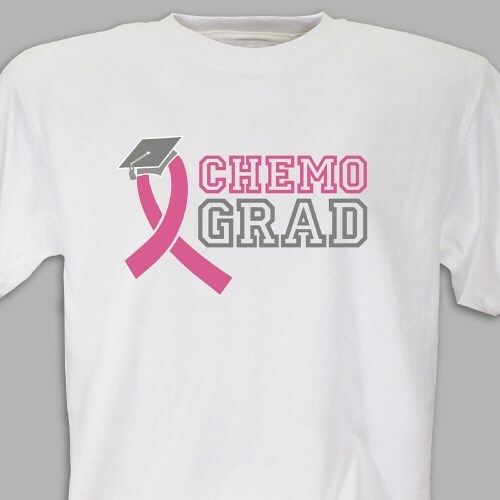 This Breast Cancer Chemo Grad design is available on our premium, 100% cotton t-shirt. Our white shirts are machine washable and available in adult sizes S-4XL.